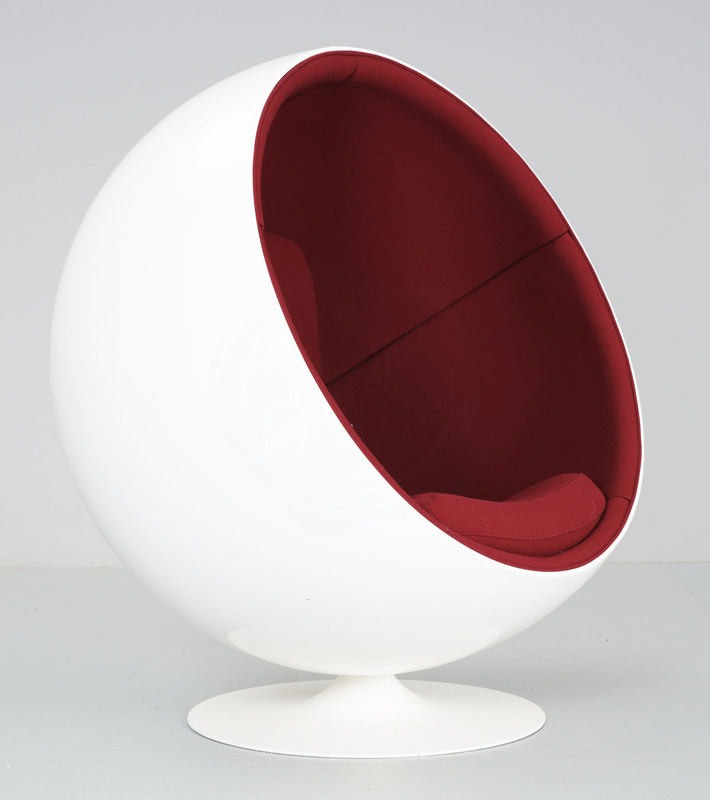 The unique and original Adelta Ball Chair by Eero Aarnio was designed in 1963 and presented in 1966 at the International Furniture Fair in Cologne. 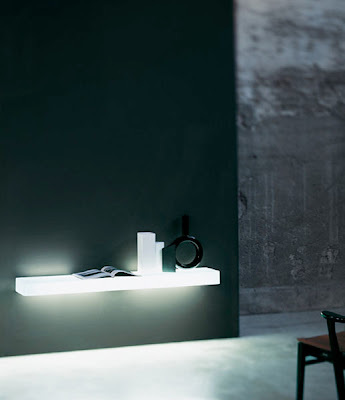 This is one of the most well-known classics of Finnish design and represented the international breakthrough for this famous Finnish designer. The shape is very simple – a ball – but yet ingenious and this piece of furniture is often described as a “room in a room”. 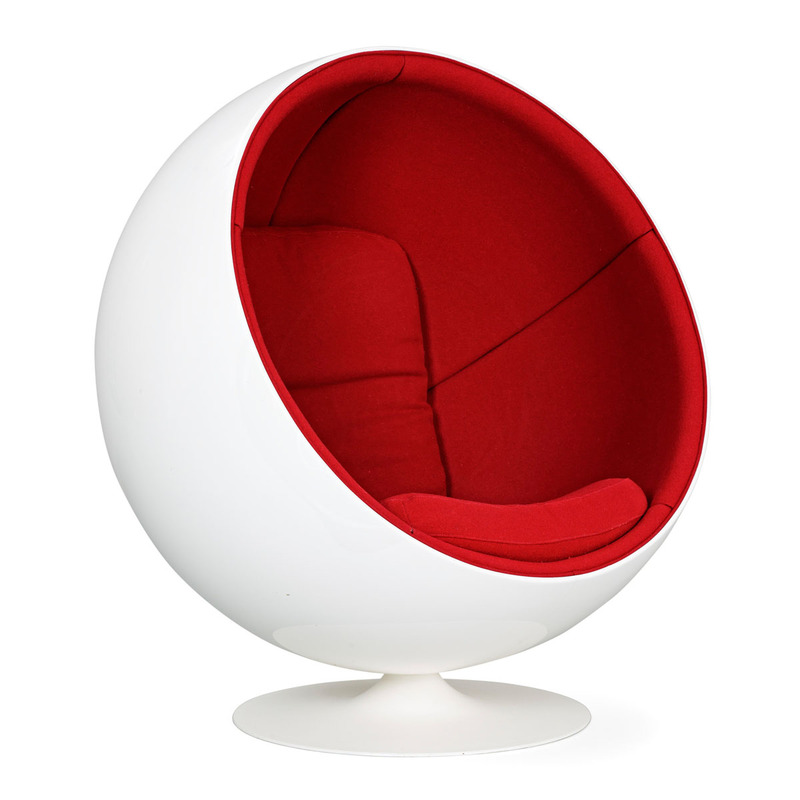 The Ball Chair by Eero Aarnio can be found in the collection of design museums all over the world, as well as in several movies and music videos and in the houses of internationally famous people. 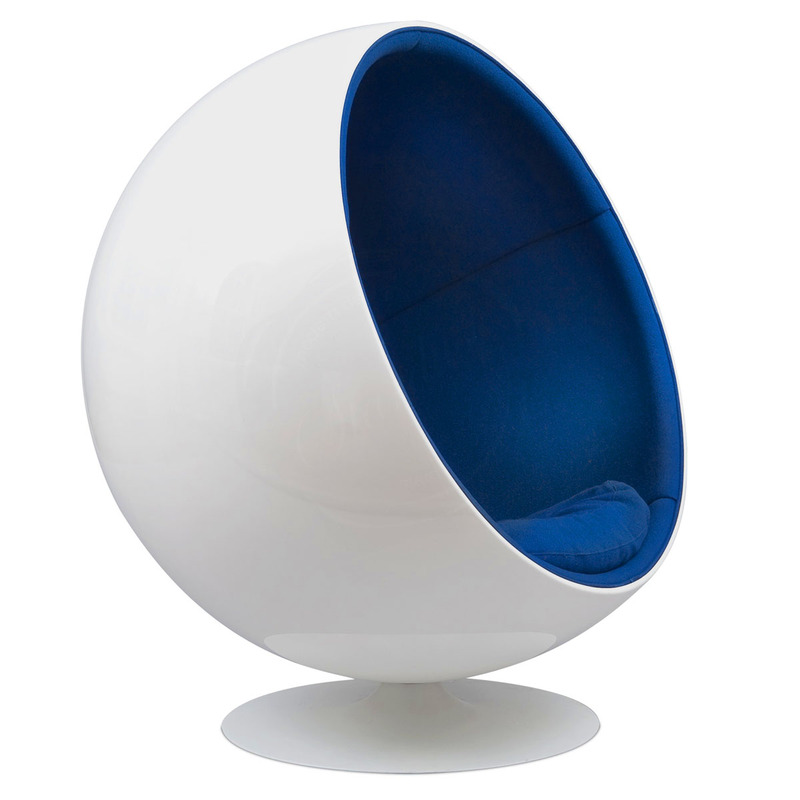 The Ball Chair by Eero Aarnio is made of fibreglass and upholstered with fabric and is available in many different colour combinations. 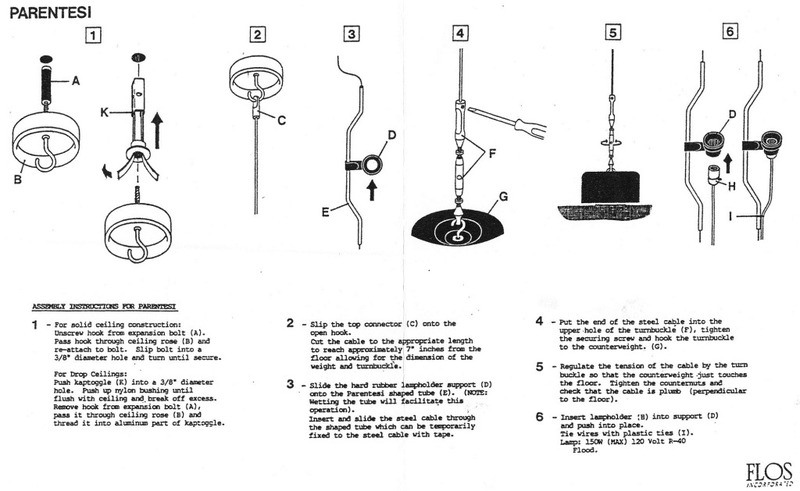 The production of the fibreglass models is still done exclusively by the same factory in Finland using the original steel molding. 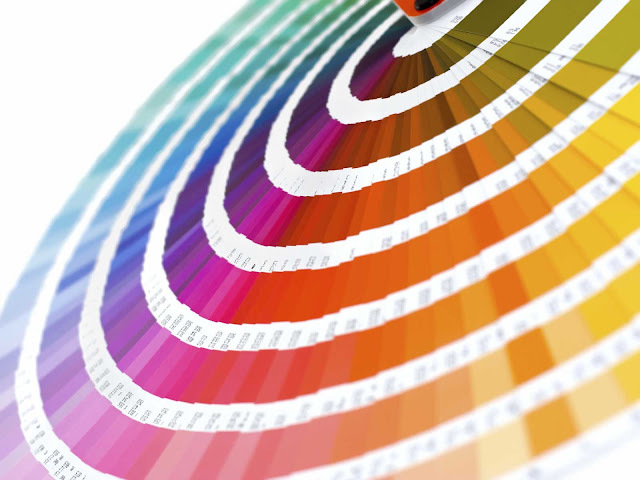 ADELTA is the only authorized manufacturer of Eero Aarnio fibreglas Collection. Make sure to verify you are purchasing the original Adelta edition since unfortunately unauthorized Chinese copies with inferior materials are being made without the authorization of the designer. 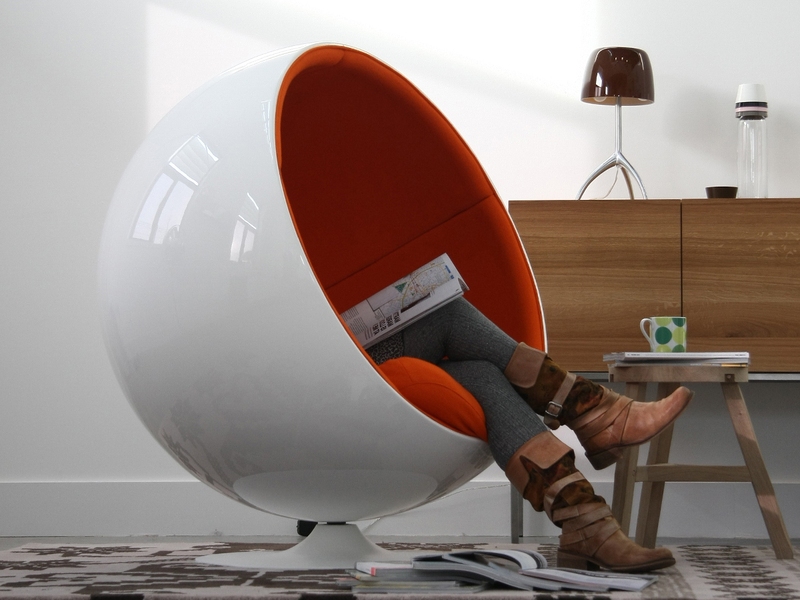 Stardust offers the authentic Adelta Ball Chair which continues to be made in Europe! 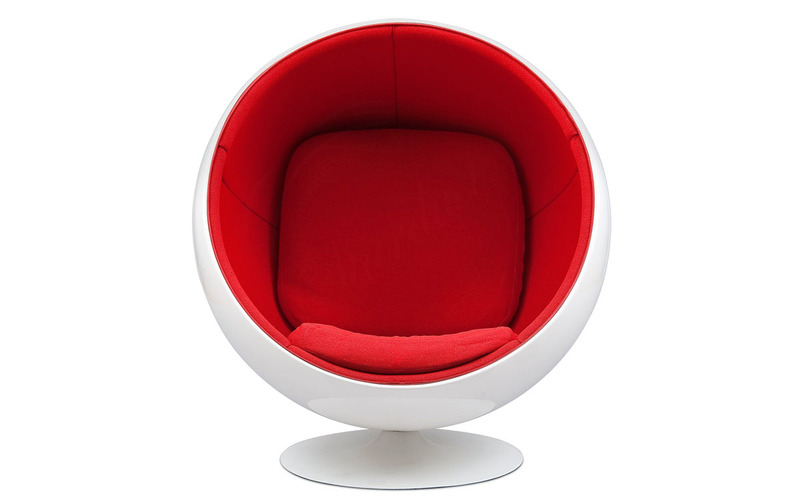 Material: Shell of fibreglass, upholstered with Hallingdal or Tonus fabrics. Below are some more images with the blue upholstery. 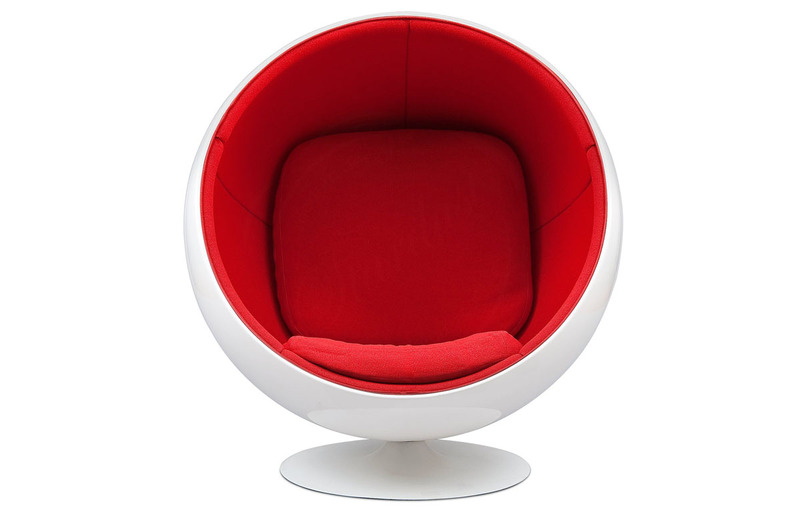 Designed in 1966 by Aarnio, the Ball Chair - or Globe Chair as it is sometimes referred - was designed using one of the most simple geometric elements, the ball. 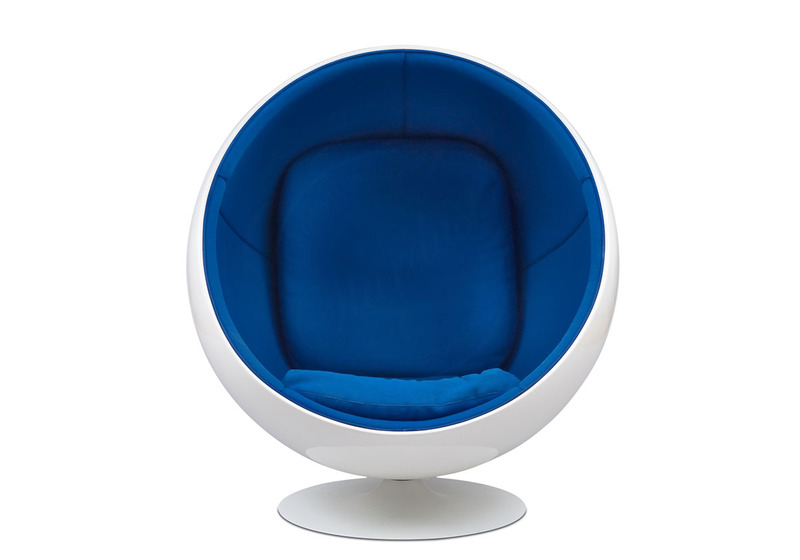 Aarnio's 1st edition Ball chair was made by long defunct Asko from Finland. 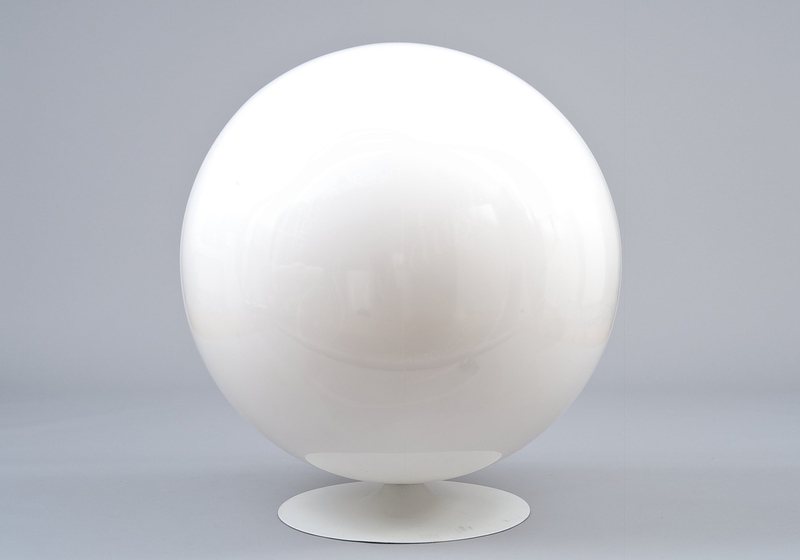 After that, Eero Aarnio signed a contract with Adelta from Finland who continue to make the authentic Ball Chair today. 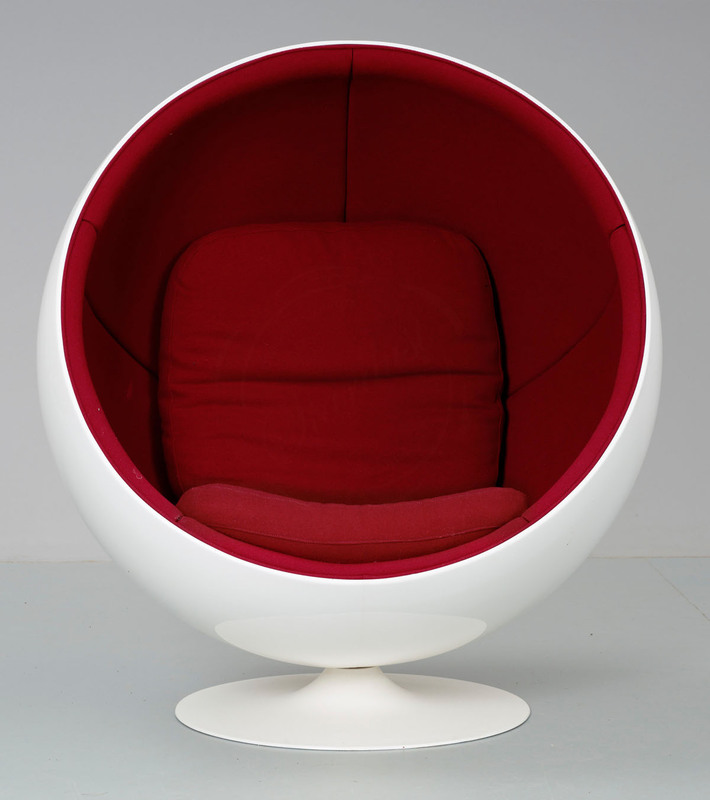 Designed by Eero Aarnio in 1963. Today they are made by Adelta.Slicing through its form and fixing the sphere at a point, Eero Aarnio achieved a revolutionary result. 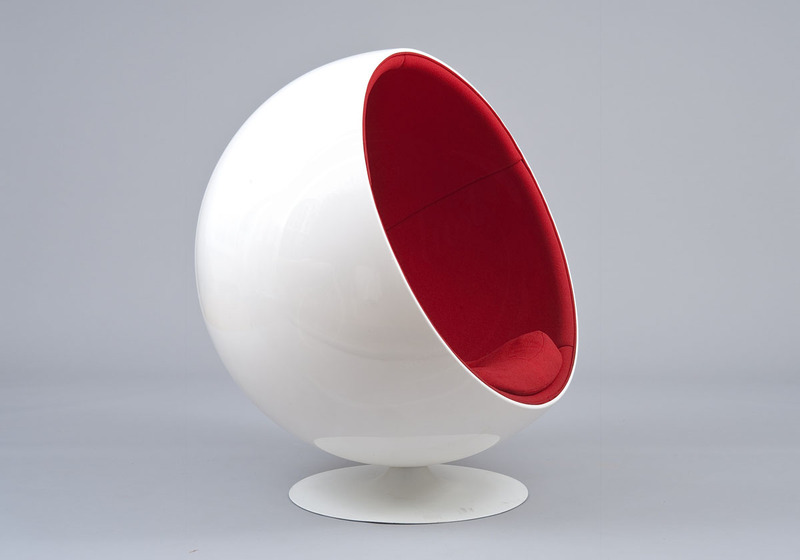 Already a pioneer in using plastic and fibreglass in industrial and furniture design, The New York Times described the Ball Chair as 'the most comfortable'. 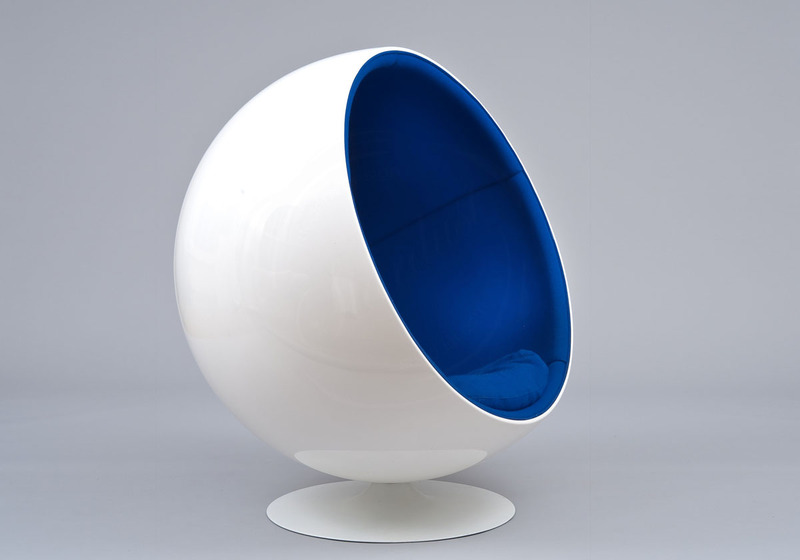 The Finnish designer Eero Aarnio is one of the great innovators of modern furniture design. In the 1960's, Eero Aarnio began experimenting with plastics, vivid colours and organic forms, breaking away from traditional design conventions. His now iconic plastic creations echo the pop culture and spirit of their time. Many of Aarnio's works are included in the world's most prestigious museums, including the Victoria and Albert Museum in London and the MoMA in New York.